The Department of the Interior conserves and manages the Nation’s natural resources and cultural heritage for the benefit and enjoyment of the American people, provides scientific and other information about natural resources and natural hazards to address societal challenges and create opportunities for the American people, and honors the Nation’s trust responsibilities or special commitments to American Indians, Alaska Natives, and affiliated island communities to help them prosper. The Department manages the Nation’s public lands and minerals, including providing access to more than 500 million surface acres of public lands, 700 million acres of subsurface minerals, and 1.7 billion acres of the Outer Continental Shelf. The Department is the steward of 20 percent of the Nation’s lands, including national parks, national wildlife refuges, and public lands; manages resources that supply 30 percent of the Nation’s energy, supplies and manages water in the 17 Western states, supplies 15 percent of the Nation’s hydropower energy, and upholds Federal trust responsibilities to 567 federally recognized Indian tribes and Alaska Native villages. 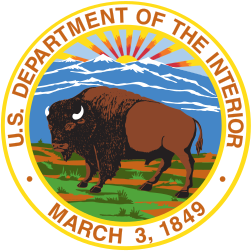 The Department is responsible for migratory bird and wildlife conservation, historic preservation, endangered species conservation, surface-mined lands protection and restoration, mapping, geological, hydrological, and biological science for the Nation, and financial and technical assistance for the insular areas.